Are you ready for your toddler to start swimming? 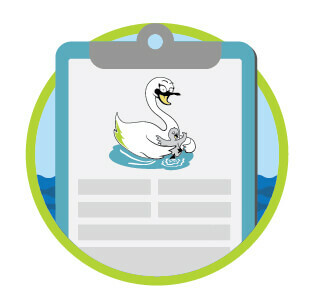 Now is the best time to get started with one of our San Mateo, CA highly qualified swim instructors. Our In-Home, private toddler swim lessons focus on the basics of water safety skills as well as the self-survival tools needed to prevent drowning. Survival skills are absolutely the goal at this age, but learning to relax and teaching a love for the water is important to us here at The Swimming Swan. When your toddler feels calm and enjoys being in the pool, they will learn even faster! Our San Mateo private swimming instructors will make it their priority to get to know your child, through fun water games and playing with pool toys. 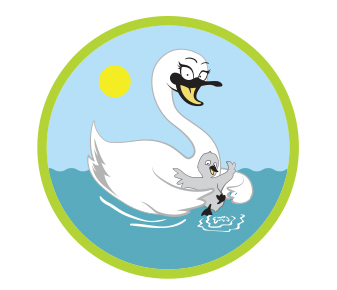 This way to approach learning to swim is a fundamental part of The Swimming Swan’s toddler learn-to-swim lessons. The goal of toddler swim lessons is to teach them to remain confident and calm, grab the side of the pool with two hands and monkey crawl along the side. This technique can safe their life. We also teach the importance of keeping eyes open underwater without any dependencies such as googles. Proper breath control, through learning to blow bubbles, as well as correct body positioning are also taught in the toddler private swim lessons. We then move on to kicking, jumping in the pool and swimming to the wall and eventually progress to stroke technique. We know you will love your instructor as much as your child. We focus on your child enjoying their experience, allowing them to grow more self-confidence and learn how to become more independent in the pool. 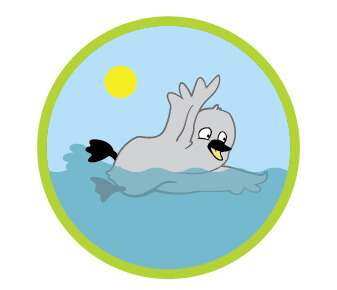 There is no better day than today to get started with private swim lessons in San Mateo! Do you need a Red Cross Certified lifeguard in San Mateo for your private pool party needs? Our team of professionals is here for you and your guests to ensure safety is the top priority. Let us know how we can help you today.